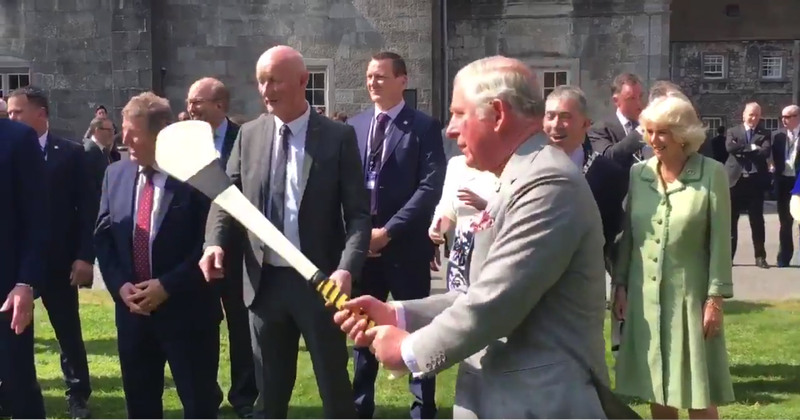 Prince Charles was getting a few lessons from top Killkenny stars and management of Brian Cody. Aul Charles must have practising away wasnt a bad first attempt! Fair play to him though good to see him at least pretends he cares!